Wendy Wallace’s debut is the chilling story of Anna Palmer, a wife whose impulsive actions bring forth horrendous consequences when her husband tricks her into visiting a private asylum and then traps her within. Mad women have a long, unhappy history in British fiction. Here, Wendy Wallace considers some of them and locates her own novel within this dark but significant canon. I was uncomfortably aware, when writing The Painted Bridge, of the cliché figure of a woman trapped in a Victorian madhouse. From The Woman in White to Fingersmith, the subject has been explored before. Then, I hadn’t read either of those powerful novels. My way in had not been through fiction but through non-fiction, specifically the photographs taken by English alienist Dr Hugh Diamond while he worked at the Springfield County Asylum, in Surrey in the mid-nineteenth century. For a woman, disappearing into a Victorian asylum was potentially a form of living death; the incarceration – if malevolently undertaken – a type of psychic murder. Many people remained in institutions for decades and never emerged. Dr Diamond’s photographs are all the more startling for this fact: they give personhood, substance and character to people whose situation denied them those attributes, at least in the popular imagination. Hugh Diamond believed, in common with many of his contemporaries and predecessors, in the theories of the ‘physiognomy of insanity’, in other words that mental illness cold be diagnosed through the features. Looking at the women in his photographs, their ordinary, sometimes sad, sometimes challenging, expressions, I felt I had a counterpoint to the original idea for my novel – a woman who sees visions. If the Victorian woman’s experience of mental illness or asylums – not necessarily congruently – is much written about, it is perhaps not surprising. Through much of the nineteenth century, women could be pronounced ‘mad’ for a great many emotional and physical states, including post-natal depression, dementia, alcoholism, depression and unsanctioned sexual behavior. The powerlessness of the Victorian woman was nowhere more evident than in the asylum, where at the pronouncement of two – invariably male – doctors, she could be detained indefinitely. If it seems scandalous now, it also seemed scandalous, to some at least, then. Wilkie Collins’s novel The Woman in White was one of the first to tackle the theme, in a story initially published in installments in 1859-60. Young drawing master Walter Hartright’s encounter on a moonlit road with a woman dressed in white gives the novel its title. Anne Catherick, as we later know her to be, has just escaped from the asylum where Sir Percival Glyde, a baronet, has had her incarcerated for fear she will broadcast his secret. Incarceration here is an alternative to murder, meant to function as a form of permanent silencing. The threat of the asylum does not disappear, despite Anne Catherick’s escape. Laura Halcombe, who resembles Anne Catherick physically, is later detained in her place, remaining there until freed by her sister Marion. Always fragile, Laura Halcombe never quite recovers from the experience, and the dastardly events that preceded it. Sarah Waters’s gripping novel Fingersmith, written some 140 years after The Woman in White, features a woman wrongfully confined in an asylum. Having plotted to have an heiress disposed of in a madhouse, the tables are turned on Susan Trinder aka Susan Smith. When she is restrained in place of her employer, Maud Lilly, Smith’s protestations that she is the maid not the mistress are disbelieved. The cruelties small and large of the asylum are chillingly depicted. 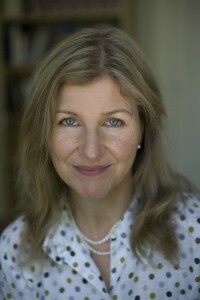 But using the wit and techniques she learned growing up by the Thames in Borough in London, in the company of thieves, Sue Trinder succeeds in freeing herself, with a skeleton key. Perhaps the most powerful evocation of a constrained ‘madwoman’ in literature is Charlotte Bronte’s Bertha Mason. Mr Rochester’s wife is kept – as were many mentally ill people, in the Victorian era and earlier – at home, looked after by a keeper. The presence of the woman in the attic at Thornfield Hall is all the more chilling for being invisible through much of the story of Jane Eyre, heard as a ‘demonic laugh’, her presence hinted at through her keeper Grace Poole. Jane accepts the version of Bertha Mason’s ‘mental defects’ given to her by Mr Rochester. Later, in The Wide Sargasso Sea, Jean Rhys illustrated that Bertha too had a point of view, a history and a story of her own. After marrying an Englishman, Antoinette Cosway – the protagonist of Rhys’s novel – is brought from the West Indies to a country where she loses what identity she once had, including her own name and is not so much mad as maddened by ill treatment. Charlotte Perkins Gilman’s 1892 novella The Yellow Wallpaper was written following the author’s own experience of an enforced ‘rest cure’ and is told from the point of view of the incarcerated woman. It is a moot point to what degree the narrator is already disturbed, but suffering the constrictions of the barred, locked room in which her only diversion is the yellow wallpaper, she loses her mind. Another compelling ‘madwoman’ in fiction is the aunt in Marilynne Robinson’s Housekeeping. Aunt Sylvie is a twentieth-century and very American character. Unlike her fictional predecessors, she is radically unconfined, homeless and wandering the United States as a hobo, by means of the vast interstate railway. This fictional shift reflects an actual one – to a time in which the experience of mental illness is strongly associated with homelessness. Anna Palmer, the heroine of my novel The Painted Bridge, has been incarcerated by her husband for reasons of his own. But Anna Palmer is unusual. She sees visions and has made a mercy dash to a shipwreck, without permission from her husband. Confined to a run-down private madhouse, she suffers the problem common to women of the time, any of whom risked being termed ‘hysterical’ if they protested. If she was sane when brought to Lake House, the experience of being there takes her to the mental borderlands where I believe many of us might find ourselves, in the right – or wrong – circumstances. From that place, the rescue can only come from within. 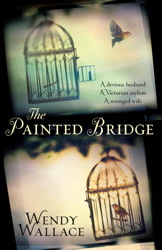 The Painted Bridge is published by Simon & Schuster on 24 May 2012.